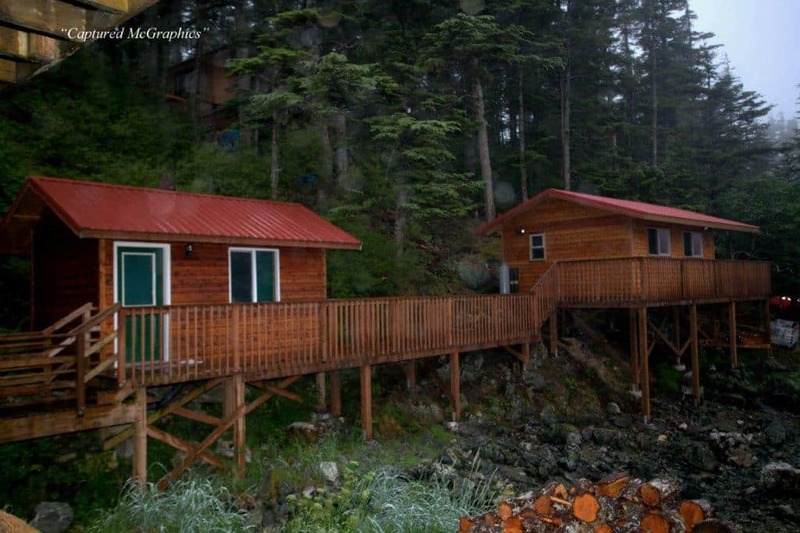 Located on the lower level of the lodge these cabins are all cedar and pine structure with two full size beds, bathroom and a breathtaking view of the mountain range. 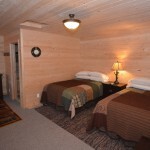 You will enjoy the comfort of these cabins, and for those that want a TV in the room these cabins have a large screen for your viewing. 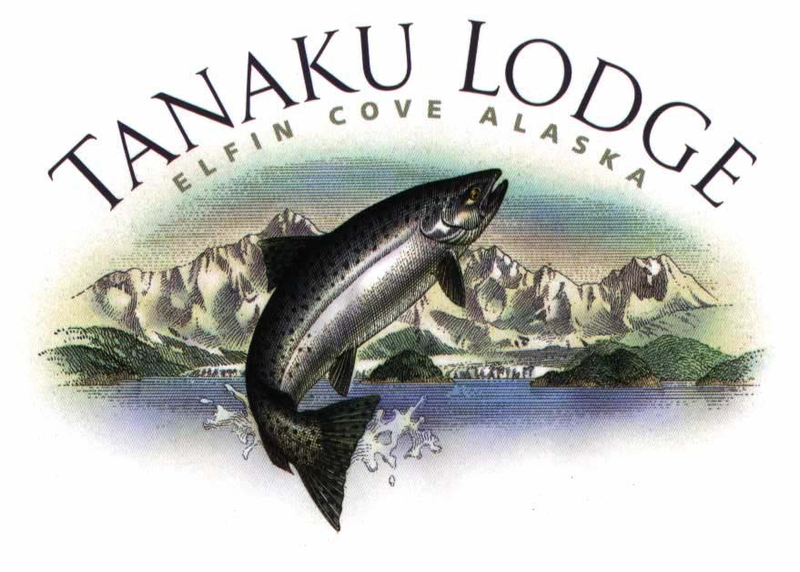 Escape from the hustle and bustle in the lodge and hear the waves crashing on the shore. 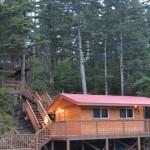 Our beach front cabins are must be reserved by specific request.